How did the Covenants and Restrictions expire? In Florida law, there is something called the Marketable Record Title Act, which basically states that after a certain period of time the C&Rs on a property expire. The law does provide for a method to renew the C&Rs. 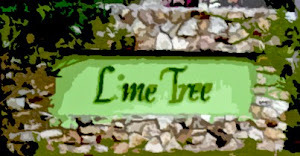 The Lime Tree Village Community Club Association, Inc. failed to follow the law. Lime Tree Village never filed to appropriate paperwork in the time period specified by law and since they failed to follow the law, the C&Rs ceased to exist over 3 years ago! This means Lime Tree Village cannot legally demand payment of their assessments! Not only has Lime Tree Village ignored the law, they have also used the ignorance of the law against the residents of Lime Tree. They insist Orange County Code Enforcement will enforce their C&Rs and have threatened homeowners who are aware of the fact that they have zero authority with legal action. The HOA has no problem misinforming homeowners and using costly legal action to keep those homeowners in line. Since the HOA has their meetings, newsletters, and attorney to scare homeowners into paying their illegal assessments, this website was necessary to fight the lies and inform the community. I was one of the homeowners the Association targeted with their amateur attorney. They lost their battle against me but they have moved on to my neighbors. This does not sit well with me. I understand the stresses involved in someone threatening one's property rights, and more importantly, one's home. I also see that if the Association continues getting away with their illegal actions they will feel emboldened to push even further then before.